Kaitlyn is currently studying for her Global Masters in Management at London School of Economics. It’s no secret that consulting is one of the most sought-after career destinations for business school students. But jumping into any new job is daunting, and the opportunity to get a taste for what a consulting career is like before you take the leap is one not to be passed up—especially if you're a master’s student in need of the experience to help you stand out. Kartik Jaishankar knew this and is the on-campus director for the student-run Houghton Consultancy Group (HCG) at London School of Economics, a group founded by management and strategy students but open to all those studying in the department of management at LSE. Kartik is currently studying for his Masters in Management and Strategy and aims to become a strategy consultant after graduation. He believes his experience with the HCG will give him a competitive edge. “I’m gaining hands-on consultancy experience much earlier on than I would at a firm,” he says. The work that the HCG does maps the breadth of the whole consultancy arc; from approaching clients and providing pitch decks in the first term, to signing on with the client in the second term and proactively finding solutions —through research and analysis— to companies’ business challenges throughout the summer term. Previous HCG clients include companies such as Motorola and WikiJob. The experience gives students a head start in the competitive consultancy job market upon graduation. But, like any real consultancy project, it’s not all plain sailing. Kartik says meeting client expectations while studying at the same time is a challenge. Time and client-relationship management are, therefore, key skills that the consulting experience will develop. Another possible sticking point could be data sharing. As there’s no legal contract between HCG and their clients due to the pro-bono nature of the work, companies may be less open to sharing all the key information. This, in turn, could make data transformation tricky for Kartik and his fellow HCG members. “We’re definitely up for the challenge though!” he asserts. 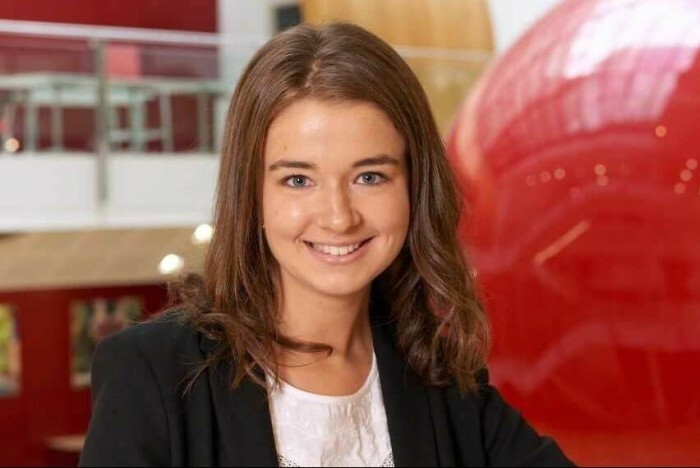 Kaitlyn Salter, a Global Masters in Management (GMiM) student at London School of Economics and team leader from last year’s HCG cohort, faced similar challenges. Her team of six worked with a Danish insurance tech start up on their chatbot application. The consultancy task was to find out which market the company should break into next and Kaitlyn’s team had to conduct market research in the UK, France and Germany. Kaitlyn’s network has strengthened not least because of the diversity and size of LSE’s Global Masters in Management cohort. This year’s class has 37 nationalities in a class size of 123. She explains that students’ varied backgrounds in finance and technology meant they could propose a business plan which effectively tackled the complex problems their client faced. “As a leader, this taught me how to let the associates on the team exercise their strengths and work autonomously,” Kaitlyn says. Having studied international relations as an undergrad, she wanted to pursue the GMiM to develop her business acumen as she knew consultancy was a career destination she was interested in. Her HCG consultancy test-drive went so well that, this summer, upon graduating from LSE Management, she will move into a consultancy related role for a cybersecurity company, proving that nothing beats learning on the job.